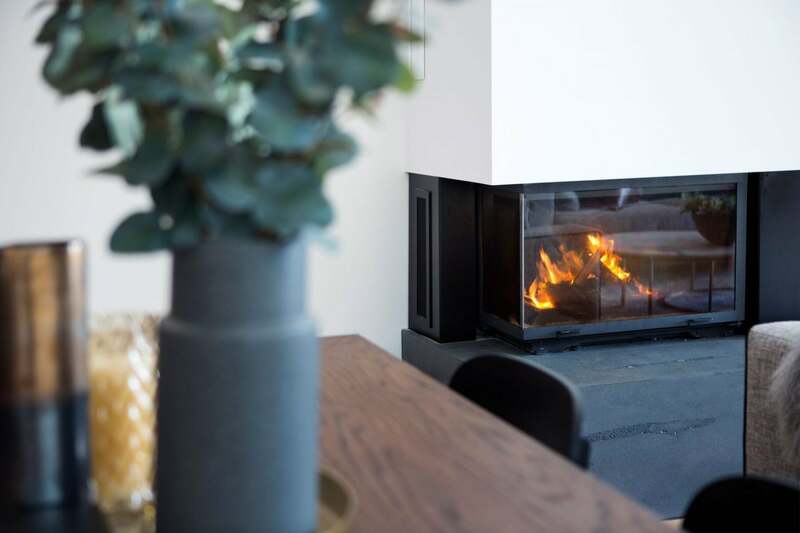 The 2 sided Cheminees Philippe 873 2V fireplace creates a modern ambiance from all directions. The home is a fresh modern residence with a beautiful bluestone hearth that compliments the black hardware of the cast iron French firebox. 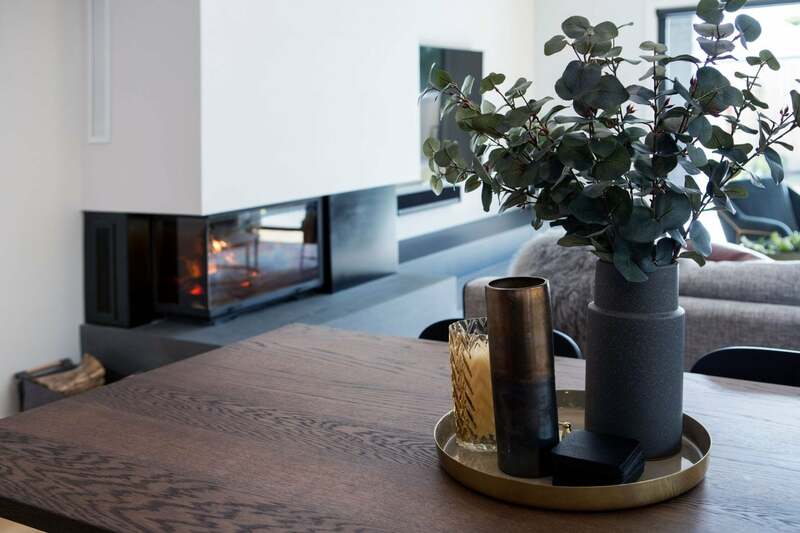 Inspired to create a warm interior, this fireplace gives this contemporary residence a beautiful ambiance which the family love and raises the profile of timeless design. The simplicity of the surround delivers a luxury that exceeds expectation. 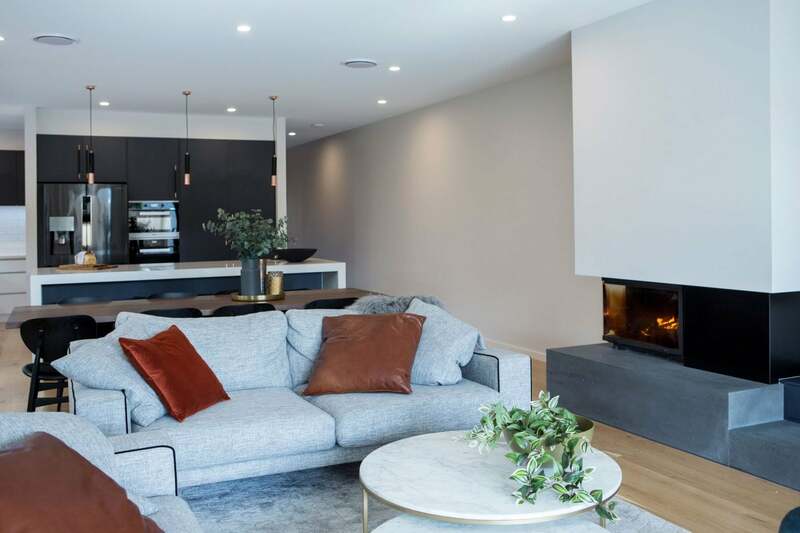 Lisa Larkin is a Melbourne based interior designer dedicated to designing beautiful residential and commercial spaces. With over 15 years of experience, Lisa has worked on a variety of spaces, styles, and collaborates with builders and cabinet makers to produce a built design. With a visionary approach to the modern design process, where the philosophy is “enjoy the process and discover how design can change your life.” Understanding the clients wants and needs gives each project a unique feel.